It is a little bit confusing that there are a ton of different versions of the Windows operating system for all the different devices out there. 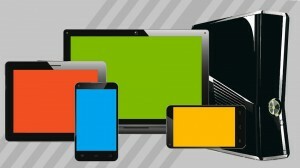 You have the Windows Phone, tablets, laptops, desktops, and even the Xbox all running different versions. Apparently Microsoft even thinks that it is confusing. That is why they are planning to simplify the situation and put out one version of Windows that all devices will run on. At the company’s quarterly earnings call on Tuesday, CEO Saya Nadella announced the big news to analysts. All of the different versions of Windows use the exact same code, so it seems like they have just been making it harder on themselves all this time. Even one of the executives admitted that there were too many operating systems out there during the meeting. It seems like everything was already headed in this direction, but this is the first official statement about it. Now, there will be one version of Windows that will be the same on every device. The only difference will be the size of the screen. The company says that they are working to get this done in the next year. This puts it on schedule to happen around the same time that Windows 9 is supposed to come out in 2015. So it appears that will be the version running on all devices. PCs, laptops, phones, tablets, and even the Xbox will all be running on it. Just like it is now, there will still be the basic version of Windows, the Pro version of Windows, and special versions for business owners. There will be special modifications like there have always been, but the point is that it will all be able to run the same apps the same way. Windows has already introduced Universal Apps, so this will just simply things further and make life way more convenient for Windows users in general. With a big move like this comes certain complications. Everyone is wondering how it will work on the Xbox, and if Windows Phones will have a desktop setup now. The company is still trying to figure all of that out themselves, but they do currently have a team of engineers working on it right now. They will for sure have everything figured out in time for the big launch. This is going to be the very first time that a major platform creator has unified its operating system across all of their devices. Even Apple and Google have different operating systems for devices that require a keyboard and devices that don’t. Great news guys.! Windows the best OS. I have used Mac, Windows , android. I would tel Windows the best one. I am waiting to get the more and more version.